Historically, Maldives was popular as a nesting site where turtle would come ashore and lay her eggs. 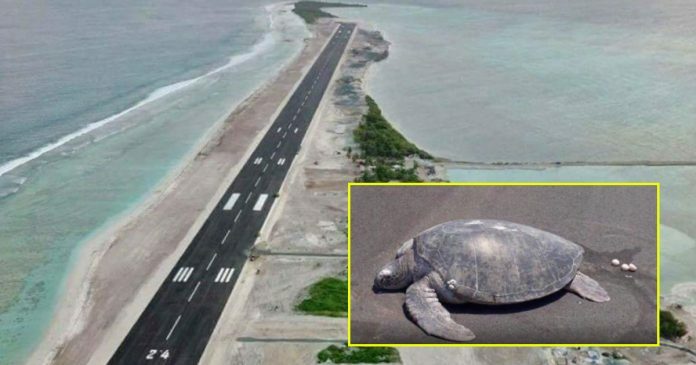 Unfortunately, one endangered turtle recently returned to the beach just to discover that a new airport runway has been built on it. 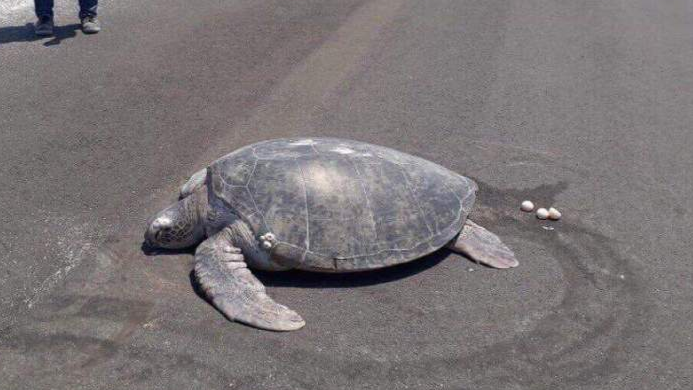 The female green sea turtle who’s population is falling due to hunting of their meat and eggs returned to the same exact side of the beach in Noonu Atoll only to be disappointed. Sea turtles are known for returning to exact same beach they were hatched at to lay their eggs. This endangered green sea turtle laid its eggs on the runway of the newly-built Maafaru Airport in the Maldives. 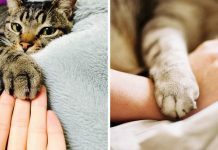 Hence, imagine how many more turtles possibly come and mimic this one. 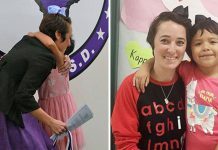 The emerged pictures of the turtle outraged people as the poor turtle was seen laying the eggs on the tarmac because it didn’t realize the difference. 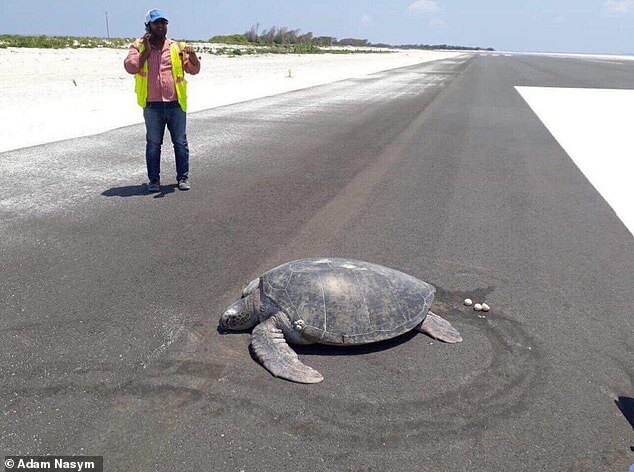 “Despite the construction of the runway, the frequency with which turtles visit the island for nesting purposes has not decreased,” said a source from Maafaru Island Council to a local news website. The runway was built over a popular turtle nesting spot. Besides this airport runway, there are further plans for buildings in that area including a hotel and a resort. 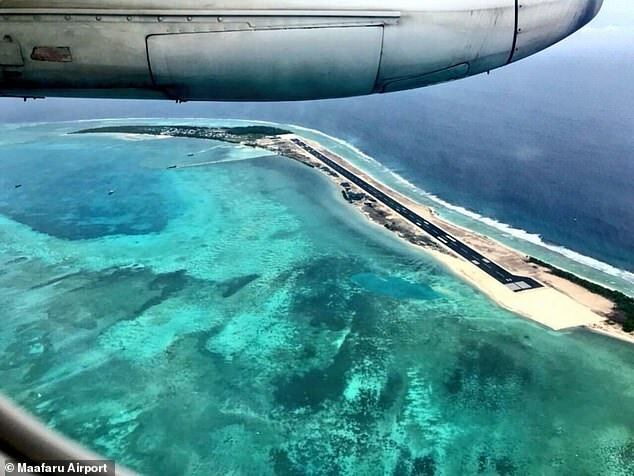 Former president of Maldives Abdulla Yameen Abdul Gayoom said last year the airport valued at $60m (£46m) and was a donation to the Maldives by the United Arab Emirates. Despite the unfortunate circumstances, the locals reported that the turtle was seen in good health and safely back into the sea. Looking at the situation, a lot of people expressed their opinion online. 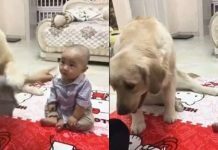 “That breaks my heart,” said an internet user. Hopefully, the turtle can get her sandy beach spot back in future.